Still time to Order for your Valentine! Coming to an Event Near You this Spring! Here at Hurstwood Cider we like to support local fairs and markets. We are already booked for the Heffle Cuckoo Fair on 21st April and the Heathfield Show on 26th May. It is also nice to be approached by organisers keen to have us at their event. We love meeting customers and talking about our product with you, so I look forward to chatting to many of you soon! With January nearly over our minds turn to events and fairs for this year. Our first is this Sunday 28th at Oast Farm in Buxted. 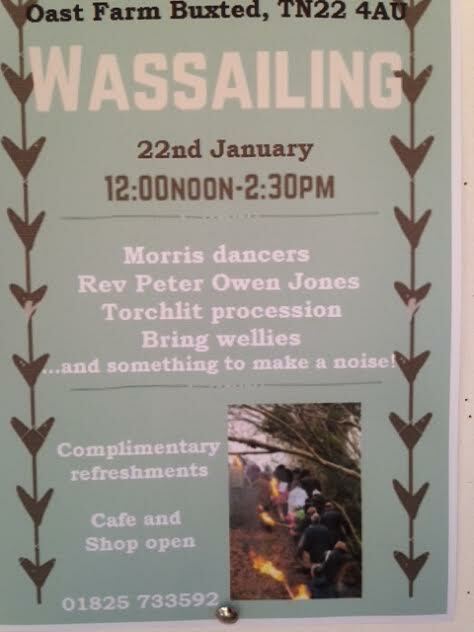 We will be serving cups of Hot Mulled Cider at their annual Wassail between 12 and 2.30pm. Bring your wellies and enjoy a short. torch-lit walk into the orchards followed by a bit of dancing (Morris or otherwise) back at the farm shop. It's lots of fun! Greenery in your hair/hat is optional! Christmas is Coming . . . to an event near you! 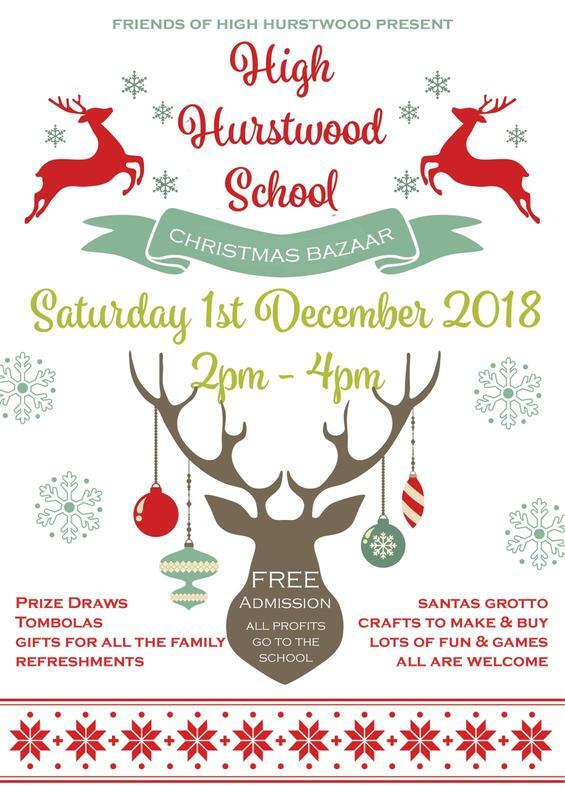 Hurstwood Cider will be offering tastings and will have bottles for you to take home and Mulled Cider for you to enjoy at the following events over the coming weeks. Do pop along for your free samples and a chat about how we make cider in this beautiful corner of East Sussex. High Hurstwood Christmas Market - Today! Sat 25th Nov 3-6 pm at The Hurstwood pub. Wilderness Woods, Hadlow Down - Sun 3rd, Sat 9th and Sun 10th Dec. Meet up with friends, choose your Christmas Tree and warm yourself by the fire. We're on Twitter and Instagram too!